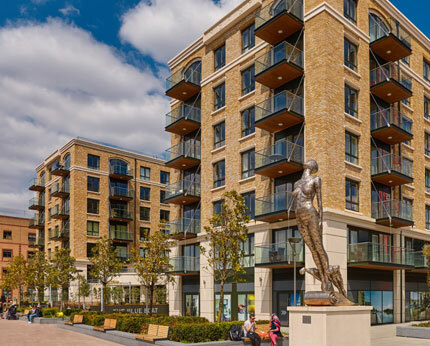 St George PLC creates vibrant new residential and mixed-use developments across the capital, from the stylish new dockside location, Chelsea Creek and vibrant dockside development, to Beaufort Park near Hendon, North West London. Their portfolio includes Sovereign Court, in central Hammersmith, Battersea Reach, the award winning development on the rivers' edge, The Tower, One St George Wharf, London's most exclusive new riverside residence, One Blackfriars, the stunning new riverside quarter, Dickens Yard in Ealing and new riverside address, Kew Bridge. 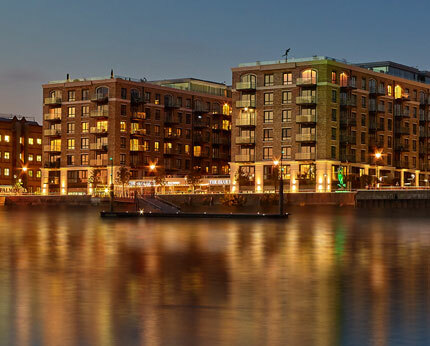 The portfolio also includes the prestigious new riverside address, Fulham Reach and the highly anticipated new development London Dock, London E1, near fashionable Tower Bridge and the Tower of London. St George has built an impressive reputation, and won awards for regenerating disused parts of the capital and transforming them into vibrant communities in attractive landscaped grounds, offering on-site facilities such as fitness suites, business centres, concierge service, shops, cafés and restaurants.